Since schools will be off tomorrow Legoland Dubai is offering free adult entry with every paying child in the park. Tuesday 5th February only. Adults go free with every paying child! 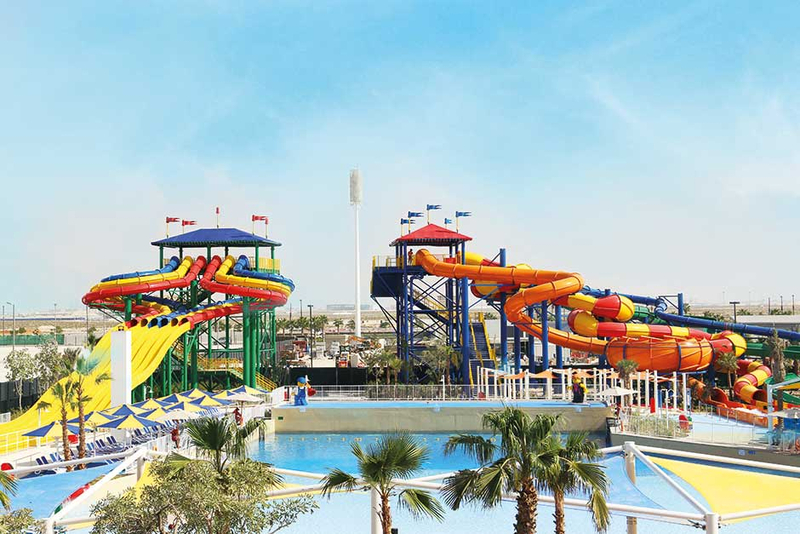 Offer valid on UAE Resident Rate tickets, upon presentation of Emirates ID at Legoland Dubai gate only. Visitors of the Dubai Parks and Resorts can enjoy a number of traditional Chinese New Year activities at Riverland, Motiongate and Legoland. Riverland Dubai will host roaming parades and traditional themed activities, including a daily festive market. Chinese street entertainment like opera face changing and dragon dances will be performed every day. Activities and market are from 2pm to 10pm daily until February 9. At Motiongate Dubai, visitors can enjoy a parade with Master Po, a flash mob, and Chinese delicacies at the park every day from 2pm to 7pm. Until February 13. And at Legoland Dubai, kids can enjoy a mosaic-building experience, pin their wishes on a traditional Wishing Wall and walk by Factory Street decorated with Chinese lanterns and red lights. Entry to Riverland Dubai is free. Tickets to other attractions start at Dh99 for UAE residents. Visitors to The Dubai Mall can explore China’s traditions and culture through various art forms as well as activities showcasing art, music and dance through workshops, games and live performances. Daily until February 10. 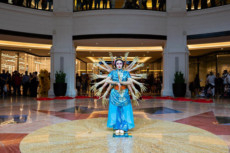 Mall of the Emirates is celebrating the Chinese New Year with a production of ‘I Dreamed a Dream’, about one girl’s dreams and fantasises featuring lion and dragon dance and acrobatic feats. The shows run until February 13 and will take place at 5pm, 6.15pm, 7.45pm and 9.45pm daily. The mall’s Luxury Wing will turn into a cultural hub with activities highlighting Chinese crafts. Visitors can try their hand at different workshops, including calligraphy, Chinese fan craft, rice painting and play Mahjong. Atlantis, The Palm will provide daily entertainment with a choreographed roaming Lion Dance running through its restaurants from 7pm to 7.45pm daily, until tomorrow. Starting at Kaleidoscope, the performance will then move to Ossiano, the Lobby and ending at Saffron. In addition, Saffron will offer Cantonese, Szechuan, Shandong and Anhui dishes alongside favourites for Dh265 per person. 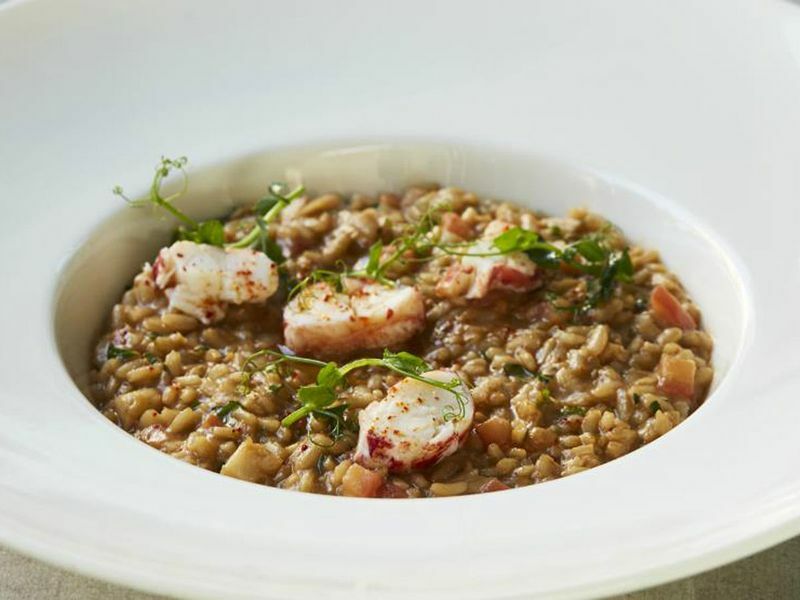 Rockfish, the Mediterranean seafood restaurant in Jumeirah Al Naseem has revealed an entire new menu created by the hotel’s new Executive chef, Chef Marco Garfagnini. With a passion for ‘cooking from his heart’ these new dishes at Rockfish have been artfully crafted to bring the comfort of traditional Italian cuisine to life through Crudo, Seafood and Grilled mains. The new menu enhancements come as part of Chef Marco’s role to enhance the F&B offering of hotels within Jumeirah Group hotels. Get 20 per cent off your total bill (inclusive of VAT) at Dragon’s Place featuring an authentic Asian meal, including Tempura prawns, Tom Yam Kung, Singaporean Chilli Prawn and flavours from the Far East. At Bahi Ajman Palace. 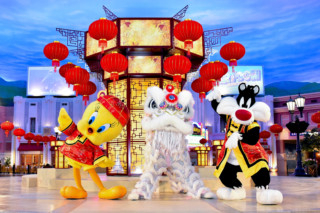 Celebrate Chinese New Year with Bugs Bunny, Tweety and Scooby-Doo. The Warner Bros Plaza is lit up with decorations, with a meet-and-greet Bugs Bunny alongside Nian the Dragon. Kids can make their own lanterns, dragons, and umbrellas. Dh295 for a single day ticket. Until February 20. Ladies get to enjoy three hours of free-flowing beverages, 50 per cent off drinks from 10pm onwards and 50 per cent off food from 6pm to midnight. At Yas Hotel Abu Dhabi. Louvre Abu Dhabi is hosting a festival of sound innovation and artificial intelligence as part of Abu Dhabi Innovation Week. Today, check out Soundwalk Collective, recordings from the Rub Al Khali desert featuring an acoustic phenomenon known as the ‘Singing Sand’ – a sand that produces sound. Until February 10. Museum entry is Dh60 (Dh30 for students, members of the military). Celebrate the day today at Urban RetrEAT where kids will get to build their own Nutella freak shake. 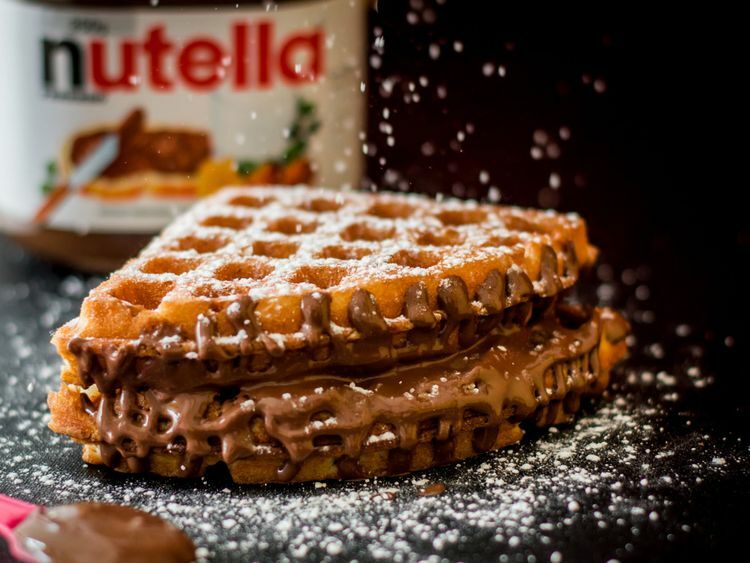 For the pancake lovers, try out the Nutella Pancales at Sukkar Dose for Dh23. The Yee Sang tradition involves families gathering around the table and performing what is known as a ‘Prosperity Toss’, in which ingredients for dishes are tossed into the air and members wish each other well by saying “gong xi fa cai” (congratulations for your wealth) and “wan shi ru yi” (may all your wishes be fulfilled). At Shang Palace, Shangri-La Hotel, Qaryat Al Beri, Abu Dhabi. Dh358. Until February 19.